Joseph Nicolazzo graduated with a PhD in 2004 from Monash University (Australia) focusing on buccal mucosal drug delivery. He joined the Faculty of Pharmacy and Pharmaceutical Sciences, Monash University, as a Lecturer (2007), where he is now a Senior Lecturer (2013). While he has some continuing interest in buccal mucosal drug delivery, his main research focus is on central nervous system (CNS) drug delivery, the role of drug transporters at the blood-brain barrier (BBB) in facilitating and limiting drug access into the CNS, how transport across the BBB alters in various disease states, including Alzheimer’s disease and how the BBB may be exploited to reverse pathology associated with Alzheimer’s disease. He received the Faculty of Pharmacy and Pharmaceutical Sciences Young Investigator Award in 2009 and Early Career Research Award in 2013. 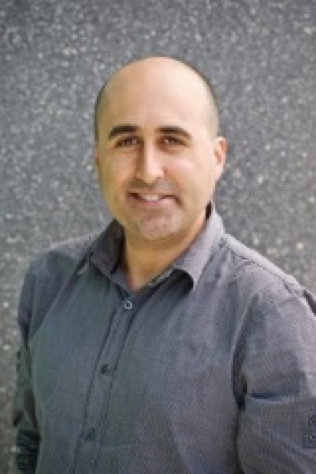 Joseph is Treasurer of the Australasian Pharmaceutical Science Association, Editor (Expert Reviews and Theme Issues) of Pharmaceutical Research, and an Editorial Board Member of Journal of Pharmaceutical Sciences, International Journal of Pharmaceutics, and Fluids and Barriers of the CNS. The blood-brain barrier (BBB), the endothelial lining of cerebral microvessels, forms one of the major obstacles to the delivery of therapeutics into the central nervous system (CNS). Due to the existence of inter-endothelial tight junctions and efflux transporters, many therapeutics fail to reach their site of action within the CNS, making diseases like motor neurone disease (MND) very difficult to treat. The situation is made more complex by reports that the BBB exhibits various alterations during MND, particularly to drug efflux transporters, which might further hinder the entry of potential therapeutics to their site of action within the brain. This presentation will highlight the physiological and physicochemical factors affecting BBB transport of therapeutics, relevant models which may be used to assess BBB transport processes, and MND-associated alterations to the BBB which may act as a further hindrance to CNS drug delivery in this disease.